The digital marketing realm is one that’s extremely rich and full of methods to help you not only get by, but to also succeed. And of this plethora of tools and methods, one that’s often underestimated is the method of guest posting. Guest posting, as I honestly believe, is one of the most powerful tools at your disposal to help attract and retain a loyal audience. Apart from that, you also get to forge partnerships with other website owners to create a mutually beneficial system. Of course, I’m going to discuss this with you in detail, but first let’s dive into what guest posting actually is. Guest posting is defined as the act of writing or publishing an article on another person’s website. This may seem like a strange concept upon first impression, however, it’s actually an incredibly effective way of increasing traffic. Every website needs good content, especially since new SEO prioritizes relevance in order to help make user experience better. Two factors that Hummingbird, Google’s indexing algorithm, takes into consideration are the average time spent on your website and your bounce rate. Good content helps captivate your visitors and it also encourages them to not only stay on your site longer, but to also explore your site for more content. Now, this is where guest posting comes in. How does it benefit my site? Well, first you and the host blogger need to come to an agreement wherein the host blogger is required to include a link to your blog somewhere within the article. 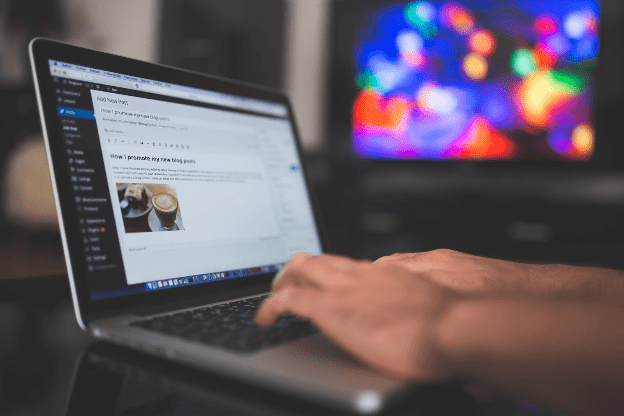 As time goes by, these links from blogs are going to increase your own blog’s value as far as search engines are concerned, which also means that your blog becomes easier to find. Next, you are able to interact with new people. You’re essentially building a network with each guest posting partner you find. Once you gain a multitude of guest posting partners, you could potentially increase traffic to your site exponentially. That’s why it’s imperative that you are able to consistently give them quality content. You are dealing with other people, and in a sense they become your clients — your content is what gets published on their website, which means that their reputation is as much a concern as that of your own. And finally, while it’s the most apparent, it’s also the most important benefit to guest posting — your blog basically gets an extended reach. Your exposure is greatly increased, sometimes even without the help of a search engine. Now, of course, just because your content has been published elsewhere doesn’t mean you won’t be held accountable for it. It goes without saying that your content has to be of good quality. But there are more aspects to manage after your content is published, such as responding to comments and promoting the post on social media. And lastly, never forget to thank the host blogger for publishing the content and providing a backlink to your blog.